Edible cookie dough, who would have thought this one up? I mean, really. Aren’t we all eating cookie dough raw? All jokes aside, this is the real deal. 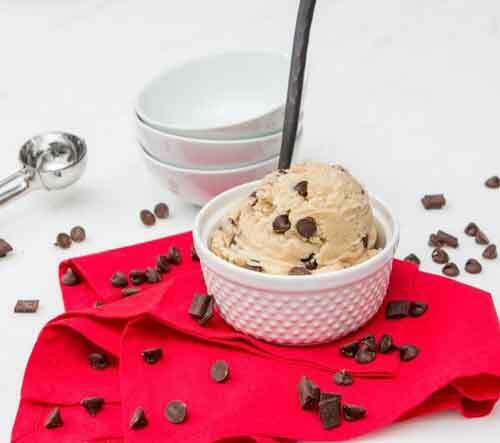 Edible cookie dough is #trending more than ever right now. Check out the shelf of your favorite grocery place. Only difference is our cookie dough is coming from a “place” aka Manufacturing plant that specializes in cookie dough. This means one thing: Great tasting dough. It also means more delicious flavors than you can find at your store. Speaking of store, we currently offer “chunky chocolate chip” and “birthday cake” flavors. Take advantage of this new product and watch your fundraising sales increase. Definitely stay tuned.